Carrageenan is a water-soluble fiber found in certain types of seaweed. It forms a gel, so it can add texture and the right 'mouth-feel' for certain foods. 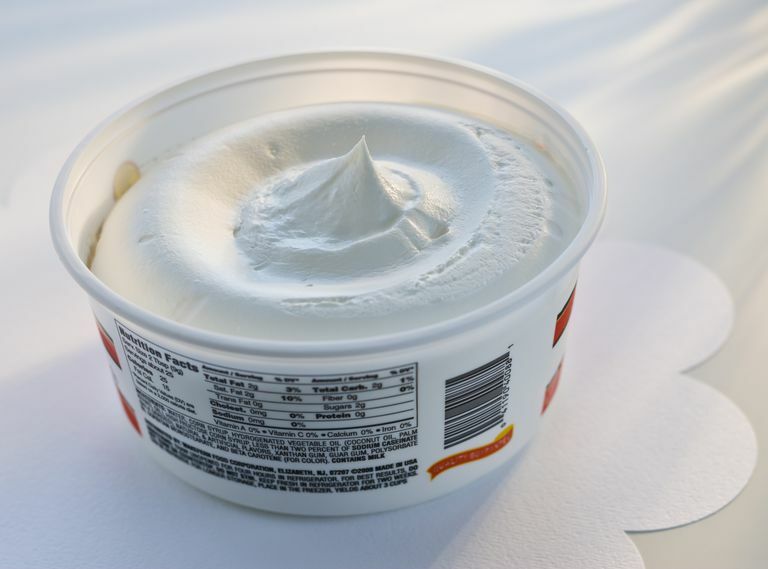 Therefore, carrageenan is used as a thickener or stabilizer in products like soy milk, ice cream, whipping cream, cream cheese, bakery products, cereals, salad dressings, sauces, and snack foods. Carrageenan gets its name from seaweed that grows along the coast of Ireland near a village named Carragheen. But, most of the carrageenan used in food processing comes from Indonesia, Vietnam, the Philippines, and other Pacific Islands. It's classified as GRAS by the United States Food and Drug Administration, which approved it's use back in 1961. GRAS stands for "generally recognized as safe." It's been used safely in food processing in the United States for more than fifty years. But, some people believe that consumption of carrageenan may be dangerous, mostly based on studies that have since been refuted. In 2001, questions were raised about the potential for carrageenan to be a health hazard because one researcher's lab tests suggested exposure to large amounts of 'degraded carrageenan' caused intestinal damage in some species of rodents and primates. But those results were refuted because the substance used in those studies, the degraded carrageenan, isn't the same as carrageenan used in food products. Degraded carrageenan is properly referred to as poligeenan, and it's something completely different and doesn't have the same properties as carrageenan, so it's not used in food products. So that research was actually done on a totally different substance. Some consumers believe that eating foods that contain carrageenan cause them to have digestive problems due to inflammation based on studies involving guinea pigs, but the inflammation caused by the carrageenan was specific to guinea pigs and didn't occur in other animal species. The research that has been done since 2001 indicates food-grade carrageenan exposure doesn't cause any damage to intestinal walls, nor does it break down into poligeenan during food processing or digestion. Of course it's important to keep an eye on any substances used in food manufacturing and the Expert Committee on Food Additives (JECFA) which is formed by Food and Agriculture Organization (FAO) and the World Health Organization (WHO) of the United Nations has evaluated the research concerning carrageenan as an ingredient in infant formula and found no reason for concern. Historically, seaweed was boiled in water or milk, and the extract was used to soothe the digestive system, to treat ulcers, and taken as a laxative. It's also possible that consuming carrageenan from red algae could be beneficial for your health. Carrageenans are part of a larger group of compounds called phycocolloids, and in fact, they're the major source of phycocolloids in red algae. A number of lab studies have shown that carrageenan from red algae may function as an anticoagulant, have cholesterol-lowering effects, and work as an antioxidant to reduce the damage done from exposures to free radicals. It's also possible these carrageenans could have an effect on the immune system. Of course, there's much more research to be done because the current findings are based on lab studies on cells, tissues and lab animals. To know for sure whether or not carrageenan has any health benefits, studies need to be done under controlled conditions with humans. Hui YH. "Handbook of Food Science, Technology, and Engineering." Volume 2. CRC Press. 2006. Imeson A. "Food Stabilisers, Thickeners and Gelling Agents." Wiley-Blackwell. 2009. Pangestuti R, Kim SK. "Biological activities of carrageenan." Adv Food Nutr Res. 2014;72:113-24. The United States Food and Drug Administration. "Select Committee on GRAS Substances (SCOGS) Opinion: Carrageenan." World Health Organization. Safety evaluation of certain food additives." WHO Food Additives Series, No. 70, 2015. Toxicological Monographs of the 79th meeting." If Carrageenan Is Gluten-Free, Why Does It Still Make Me Sick? Saccharin: Is It a Misunderstood Artificial Sweetener?